2013 was my Year of Gouache. 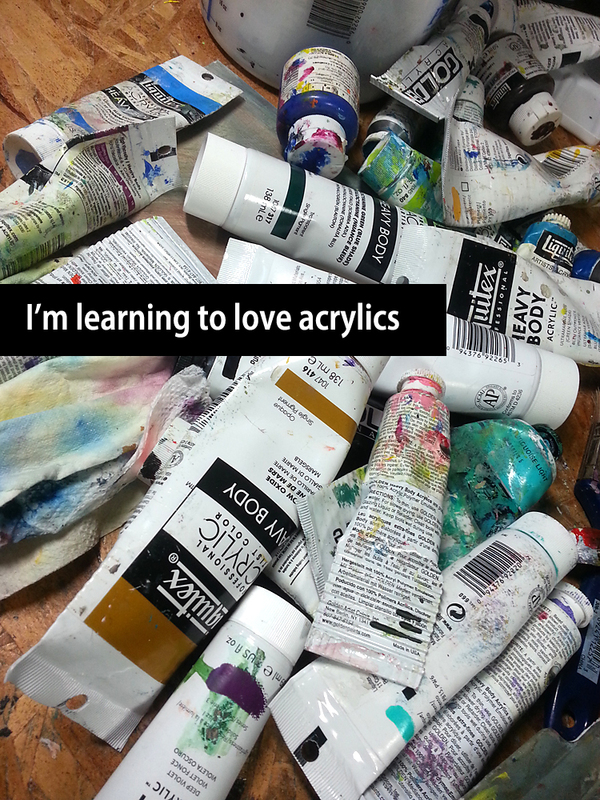 And it looks like 2014 is my Year of Acrylics. Though I resisted for the longest time, one by one I’m overcoming obstacles that painting with acrylics has presented and decided to share a few of my FIXES. 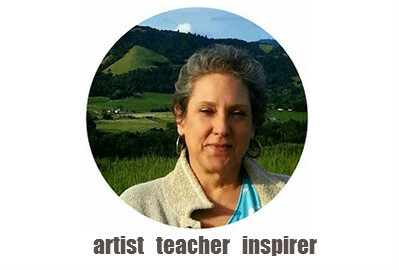 I talked about my palette and brand of acrylic paints I use a few weeks ago, check it out here. 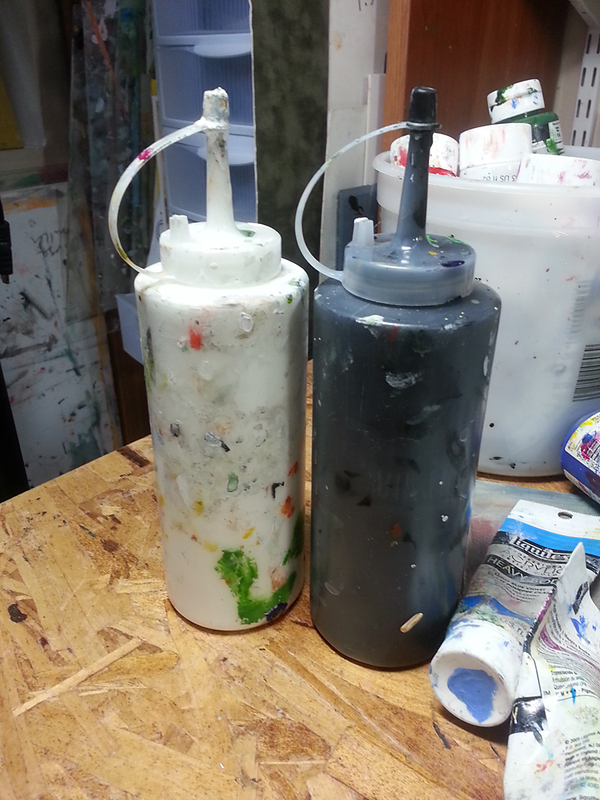 THE FIX for that “plastic-y” look and feelSince I use so much black and white paint, I decided to put it into these condiment bottles with lids and instead of white or black acrylic paint, I fill these with white and black gesso, NOT paint. Gesso is more matte and lends a really nice dry layer. No shiny look or plastic feel at all. It’s actually more like gouache, but not velvety smooth like gouache. I always varnish my paintings so that evens up the finish, usually I choose satin. Don’t even bother trying to use the squeeze bottles with no or separate caps. Believe me, I’ve tried it! These attached caps might get a bit clogged at times – very easy to dig out the dried acrylic – but you won’t lose them, and that’s the main thing. I like my white paint thick, so I buy the professional artist’s grade gesso from DickBlick. (UPDATE - I actually have fallen in love with Liquitex's Super Heavy Gesso.) Any artist’s grade gesso will do just fine. 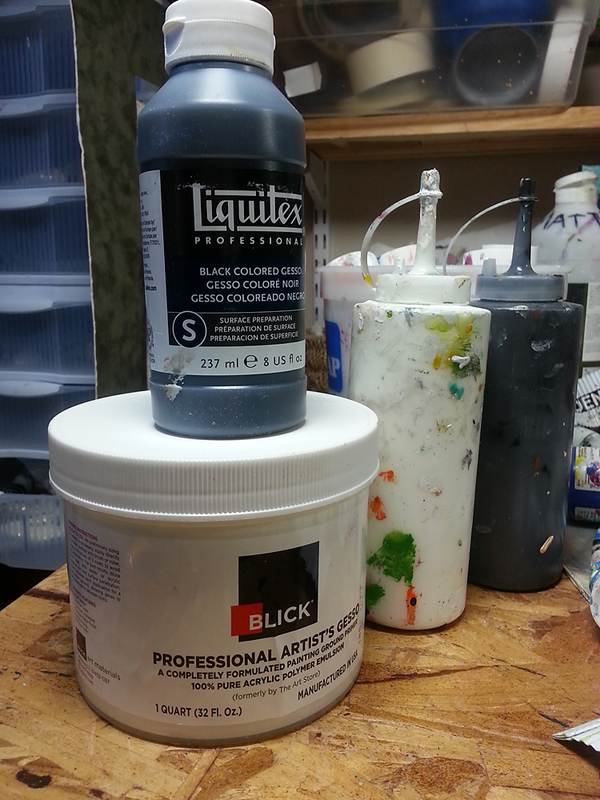 The liquitex black gesso is a bit more fluid than the white, but a perfect consistency for me.And I mostly draw with it. Simple fix here – just get yourself some flow retarder, Liquitex and Golden both have it, and I’m sure other brands do, too. Fill up a spray bottle with water and add a few drops of retarder. I spray my canvas and my palette. If I leave off painting for a day or two I make sure I open the lid and spray the paints a bit more and the top of the lid. I do NOT like those mucky stay wet palettes. For me they are stinky and mushy. Yuch. Just use about 8 drops per cup or so of water. More is not better, at some point it just gets sticky. I don’t use paper plates, or styrofoam plates, because I try to avoid using disposable items. 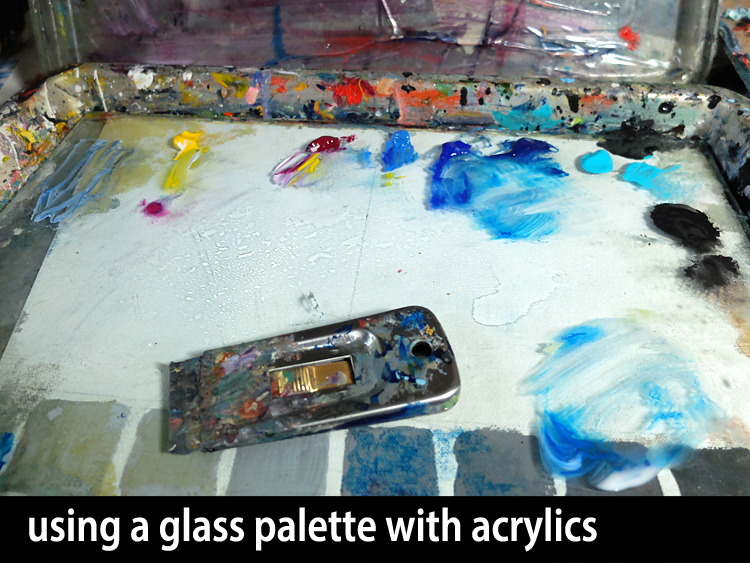 I’ve also tried those peelable acrylic palettes, Bosh, I say! When I finally tried one of my old glass palettes I used with my oils, I struck gold. A simple scrape with a razor, and ready for some clean mixes. My palette, which I’ve shown before, is a cookie sheet with plastic lid. It keeps my paints dry for days. Spray the paints, spray the lid and close. I refresh the spray daily if I’m taking a hiatus. Oh yeah, nothing like it. Easy peezy green and awesome. Scrape up the peeling and discard. THE FIX for what on earth to do with the paint scrapings, more on keeping it green.I never said it was pretty, but having a scrap of wood nearby is what I deposit all my paint scrapings on to. 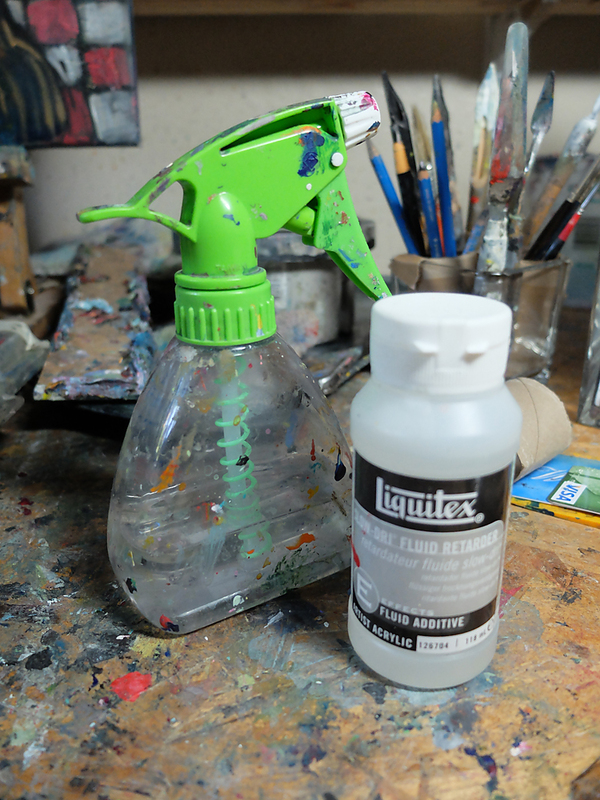 This keeps my water cleaner as i only put rag-cleaned brushes in my water bucket – never full of paint. You want to be very careful about what you pour down your sink. My waste water is pretty clean. All the scrapings stay on this wood til very dry then I peel them off and throw them in waste basket when I need more room. It works! Ugly but effective “fix” for what to do with all those acrylic painting scrapings. I know some artists use them back into new paintings, I may try it yet.